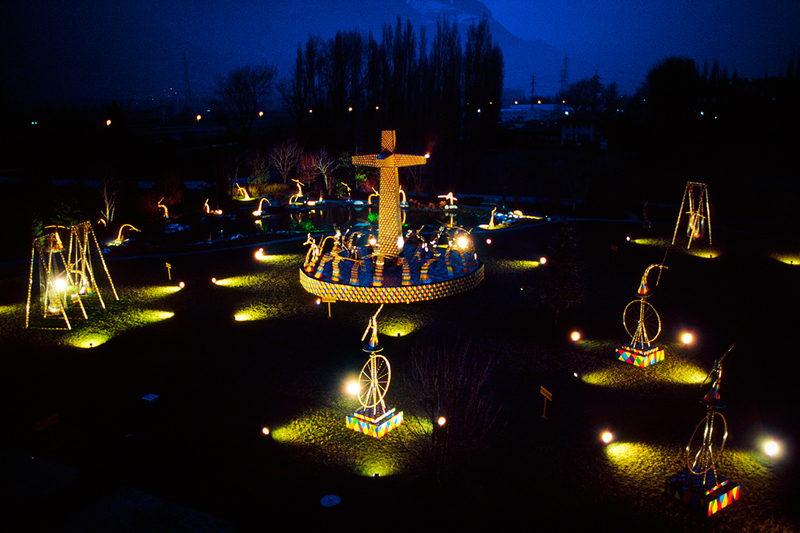 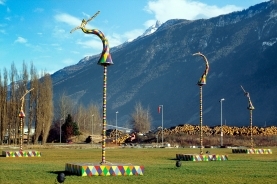 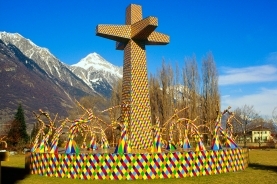 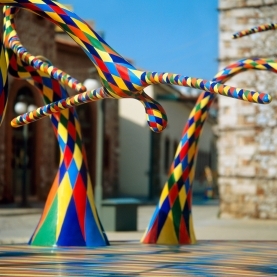 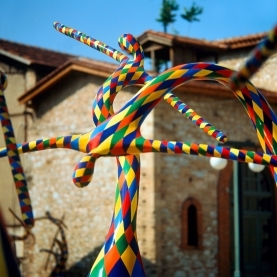 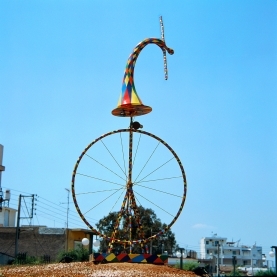 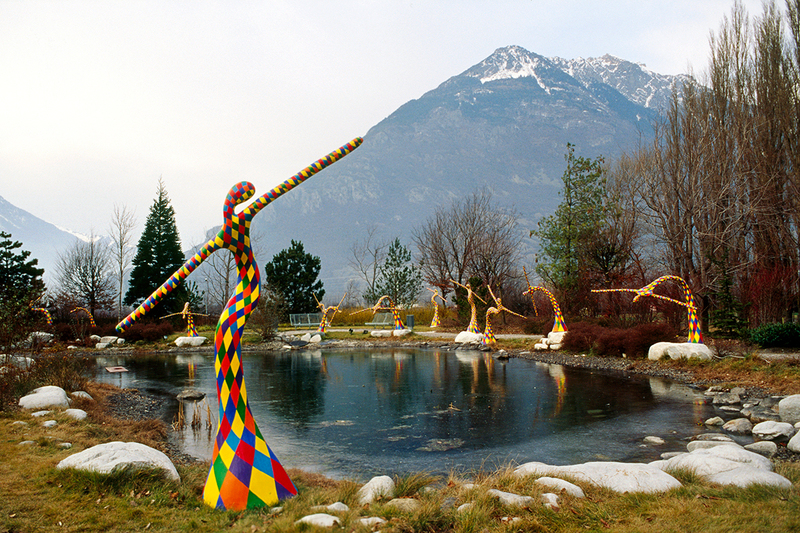 The ``City Of Games`` has been created by the international sculptress and painter VASSILIKI in 2000. 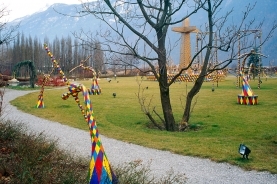 The ``City`` includes 2.000 artworks and the ``Temple of Colors``. 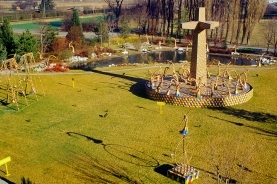 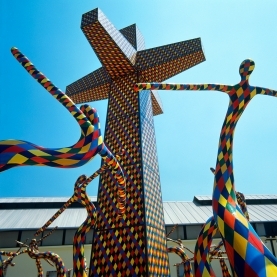 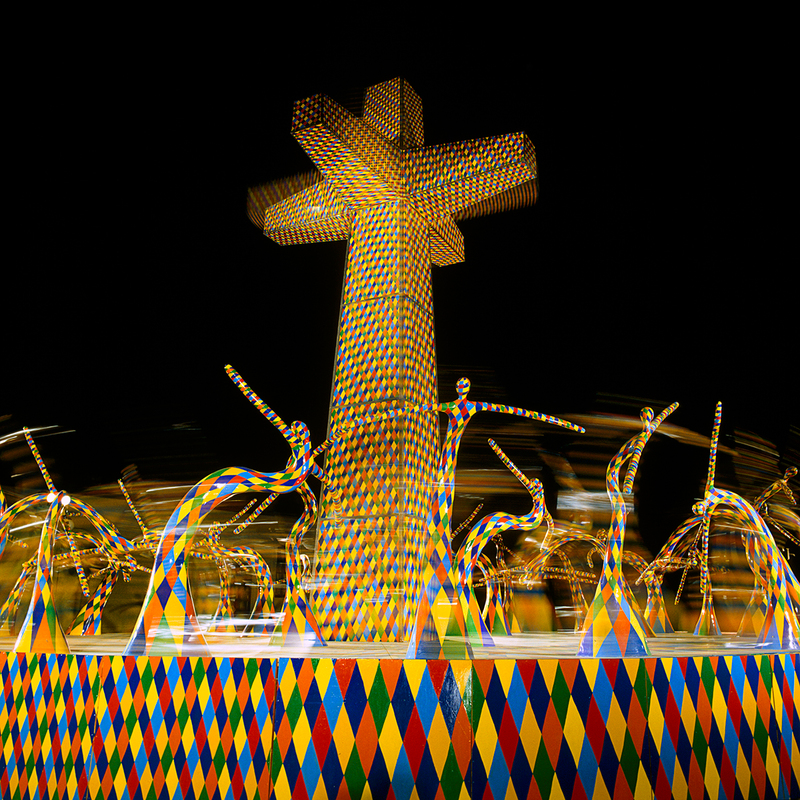 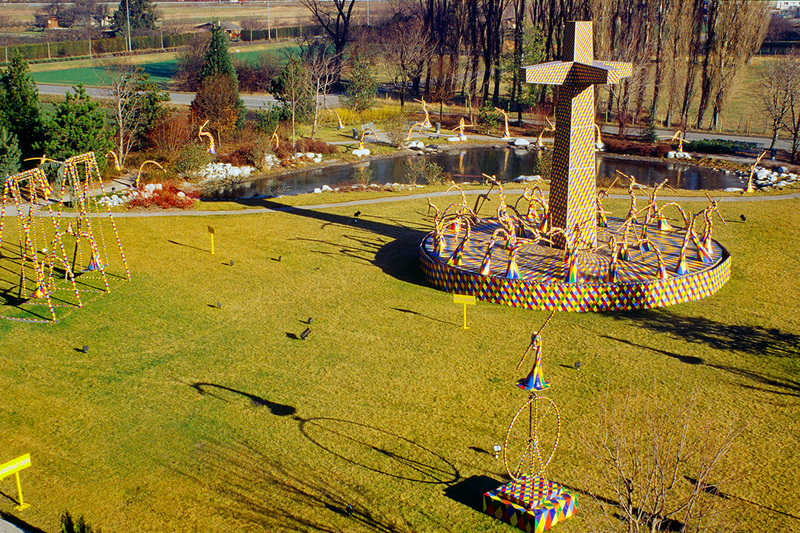 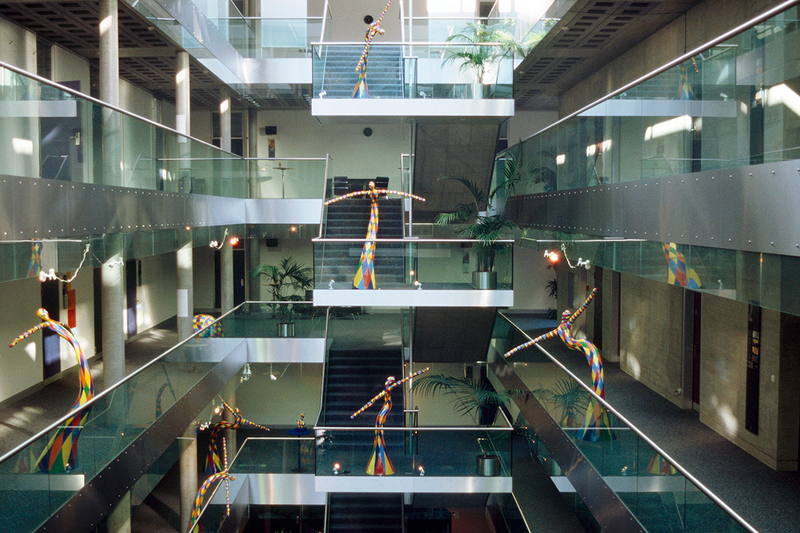 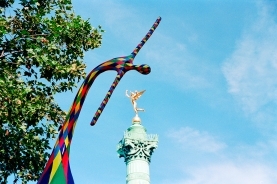 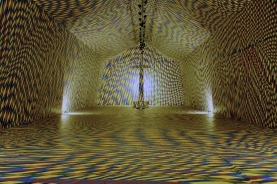 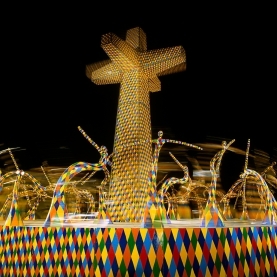 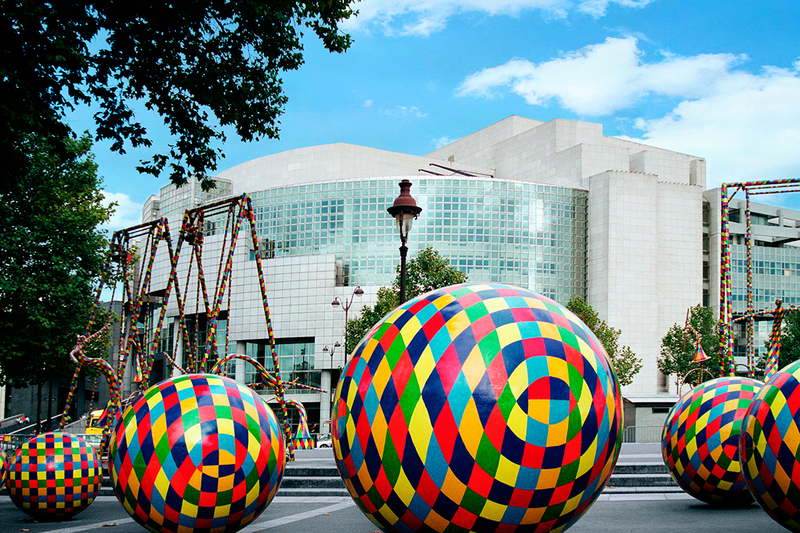 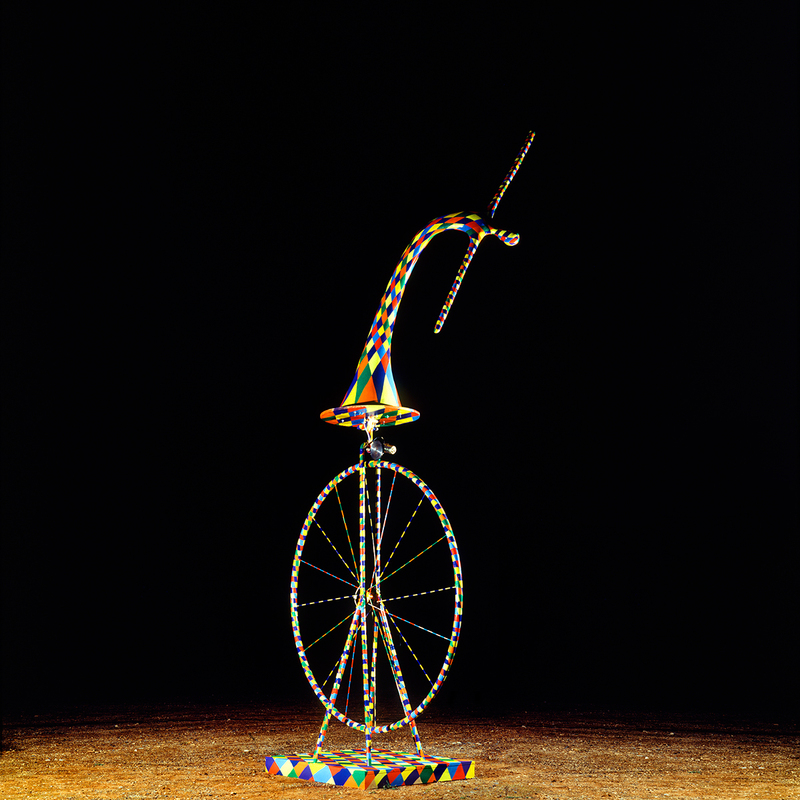 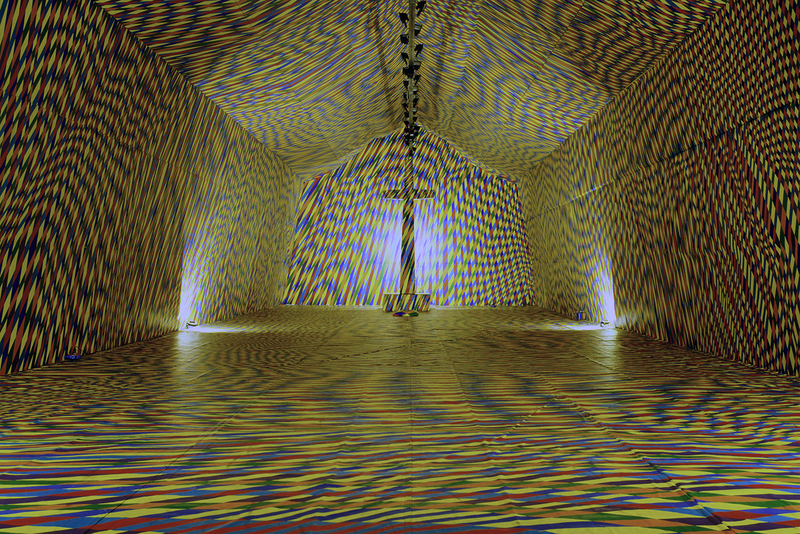 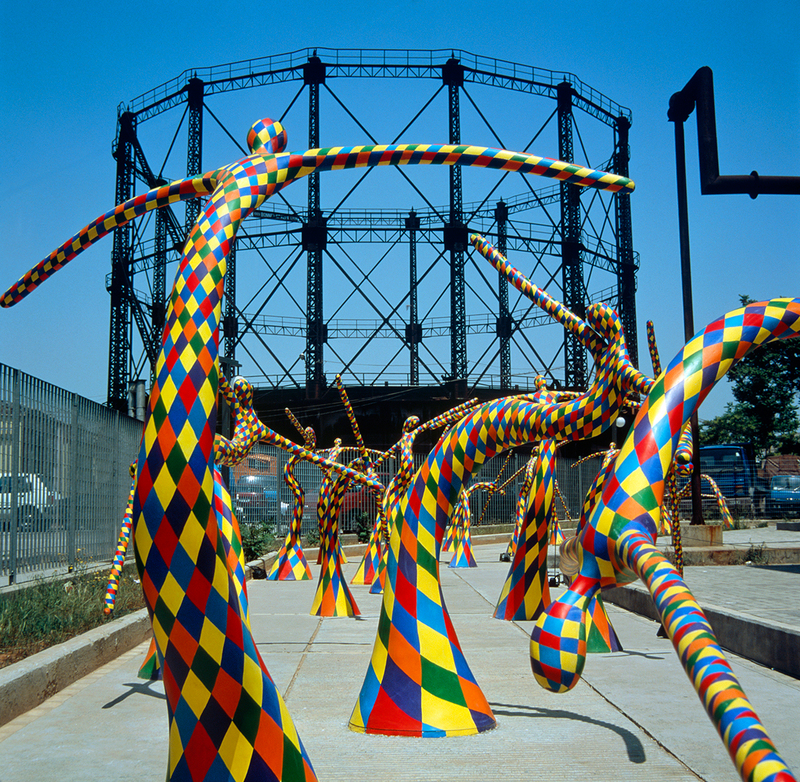 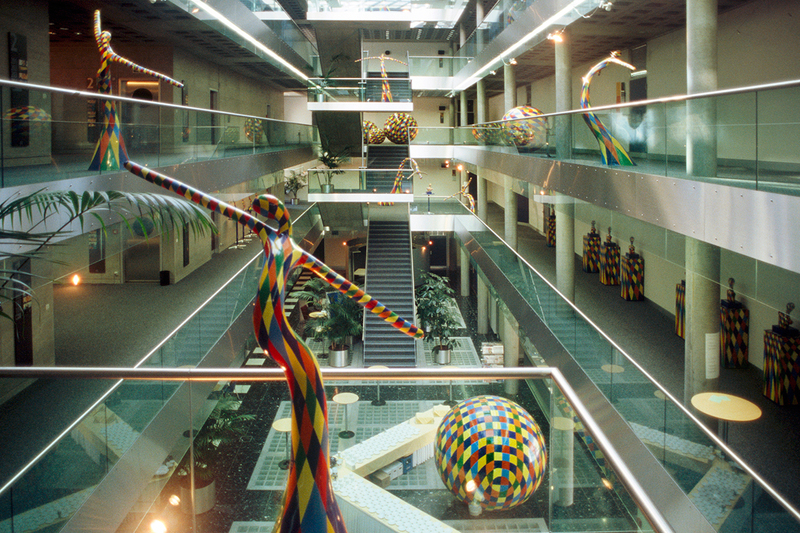 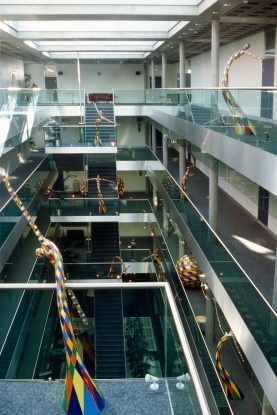 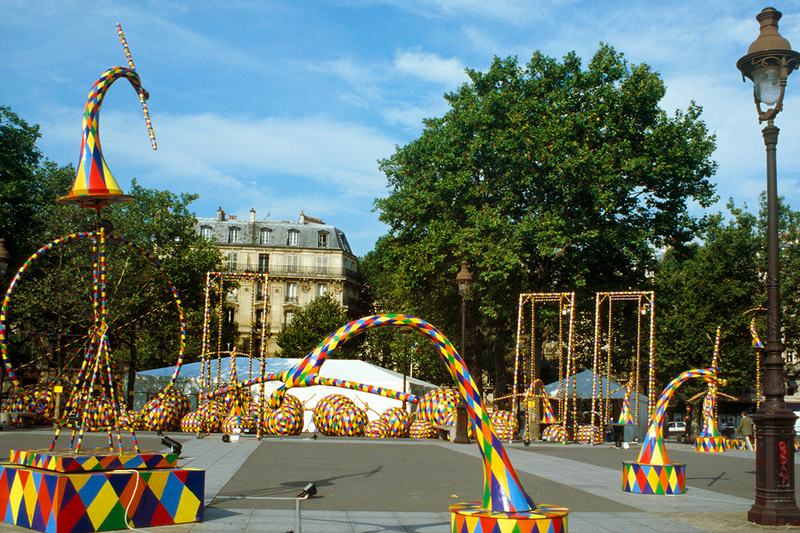 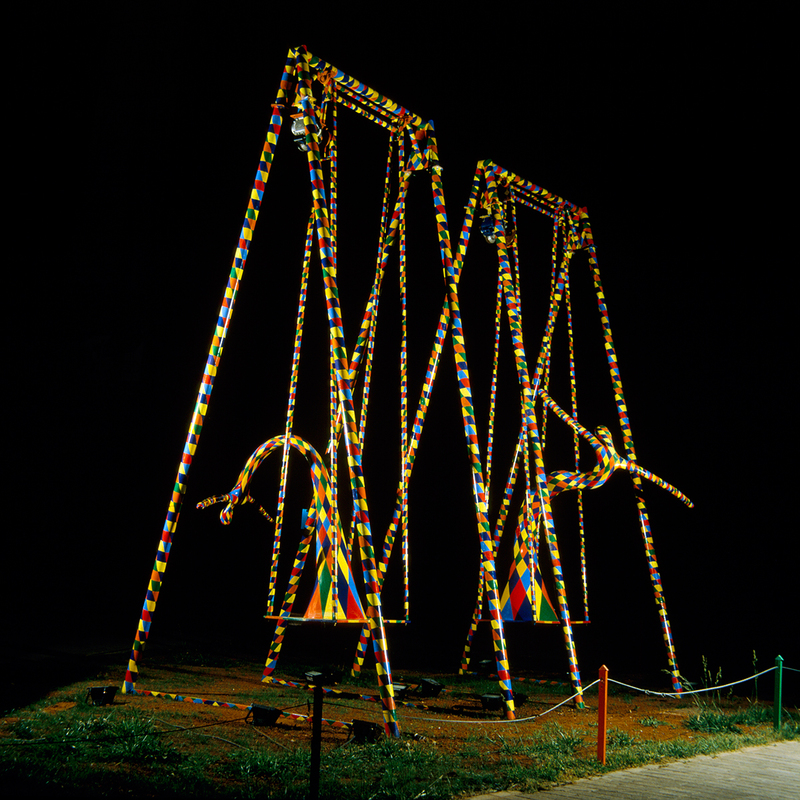 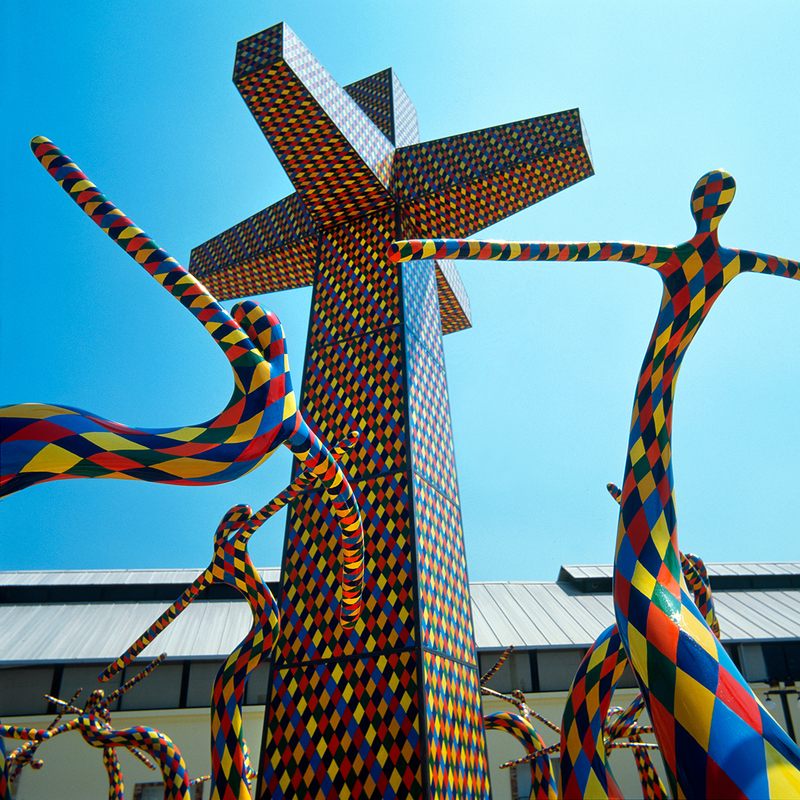 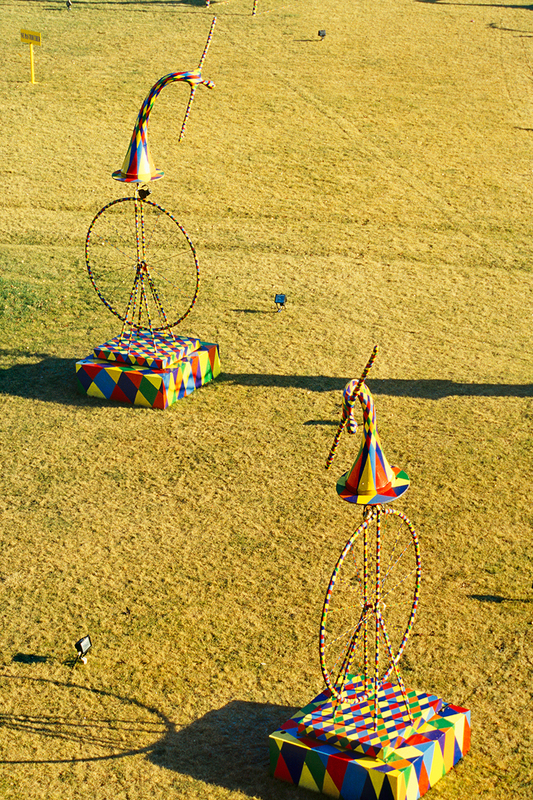 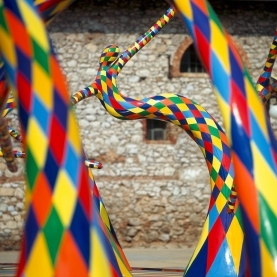 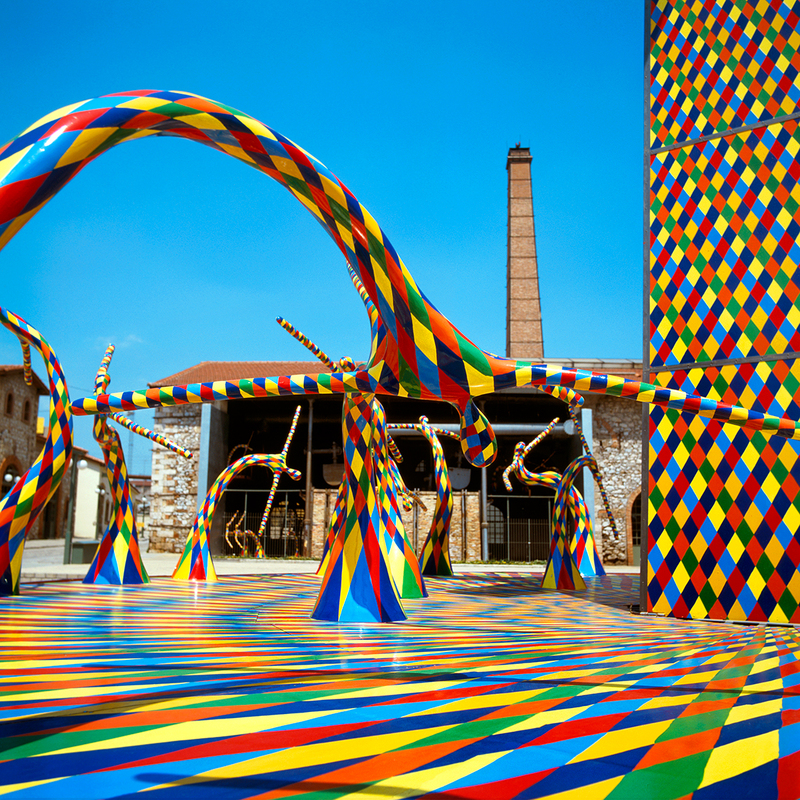 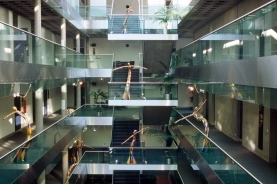 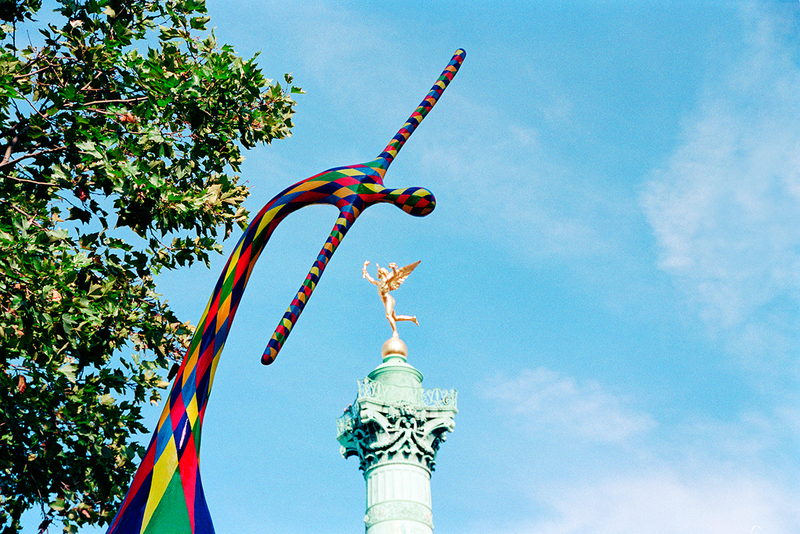 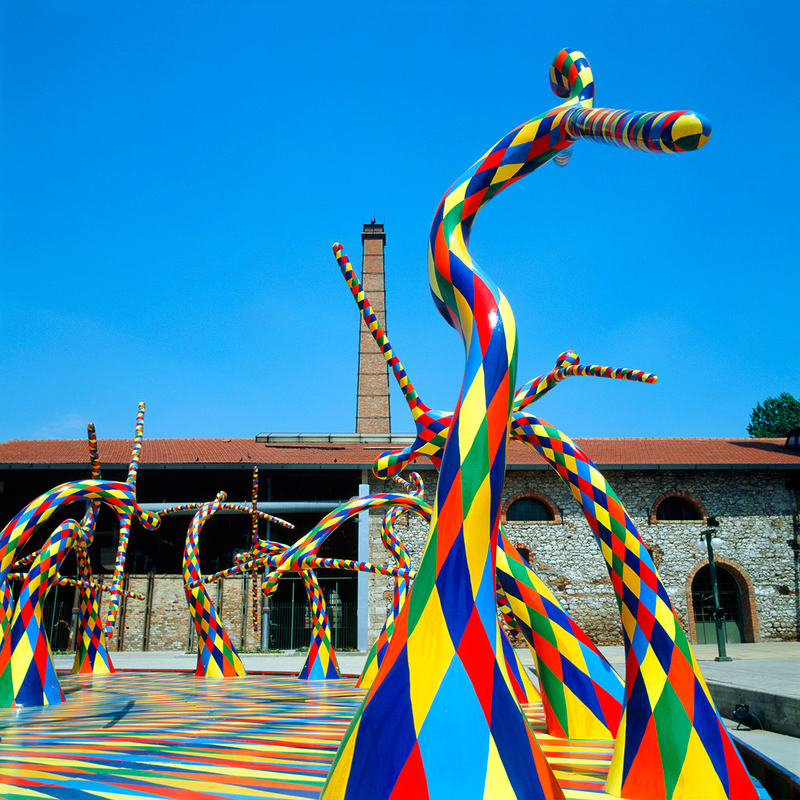 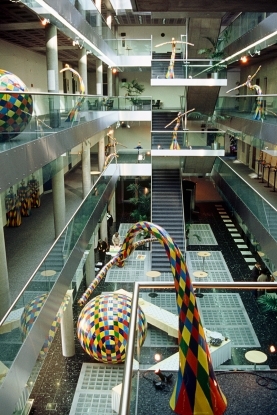 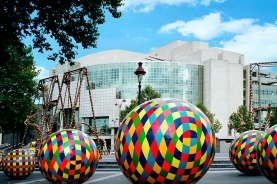 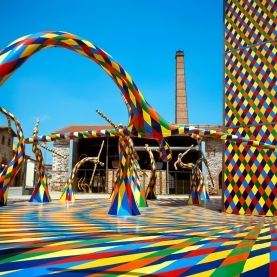 The ``City of Games`` is considered to be the biggest kinetic installation in the history of art. 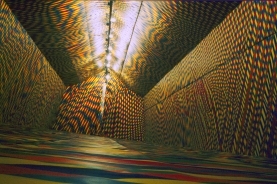 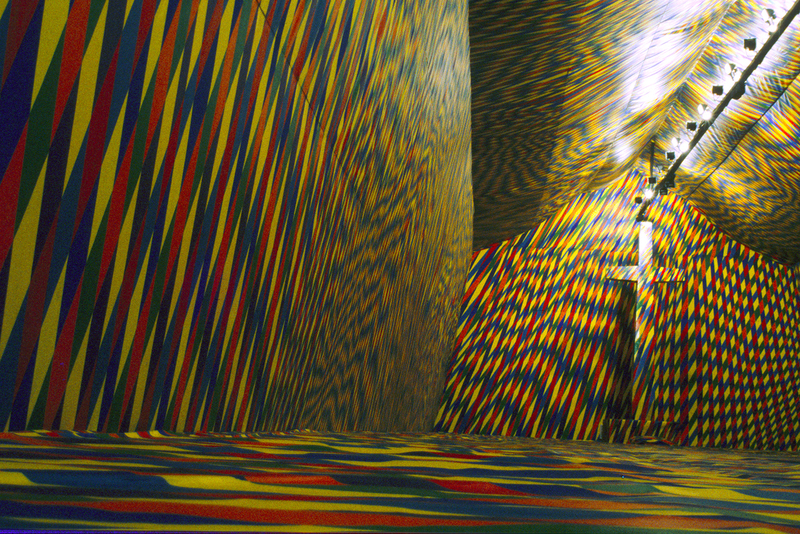 The Temple of Colours (2000 - 2004) is a gigantic painting on canvas, with acrylic paint, all designed and painted by hand. 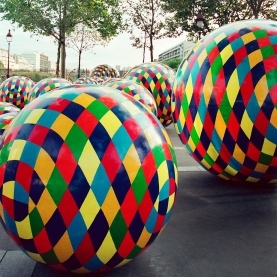 The pattern relates to the geometrical shape of the rhombus (diamond) and no special technique has been used besides the painting with a brush of each one of the diamonds. 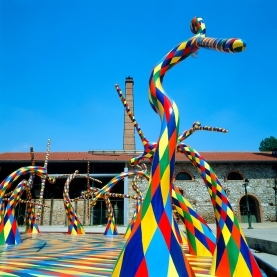 The work took four years to be completed by the artist and four assistants. 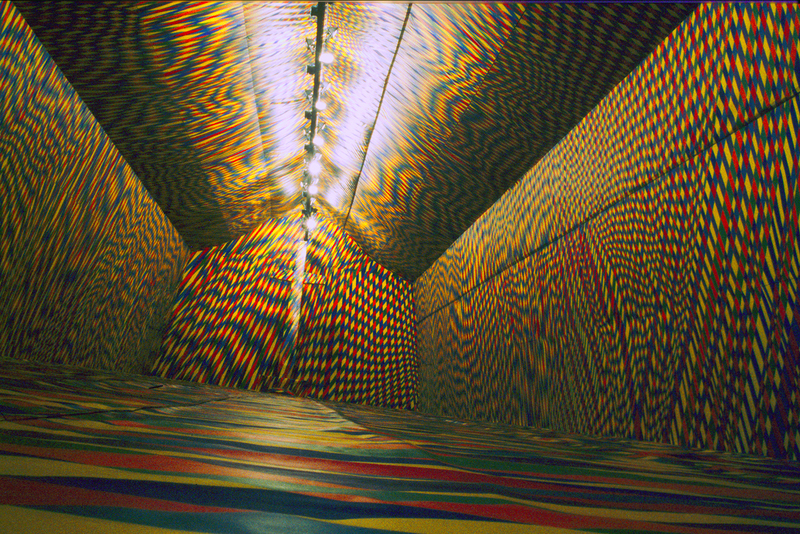 The work can adjust in any space of any dimension - even of a small room or a gallery - and can expand up to 2.000 square metres. 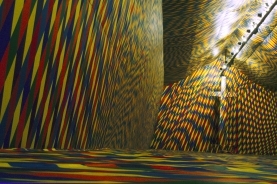 The visitors are requested to remove their shoes before entering the Temple of colours since they are walking on a painting. 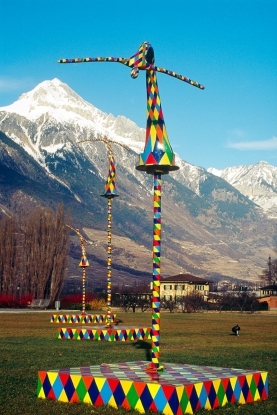 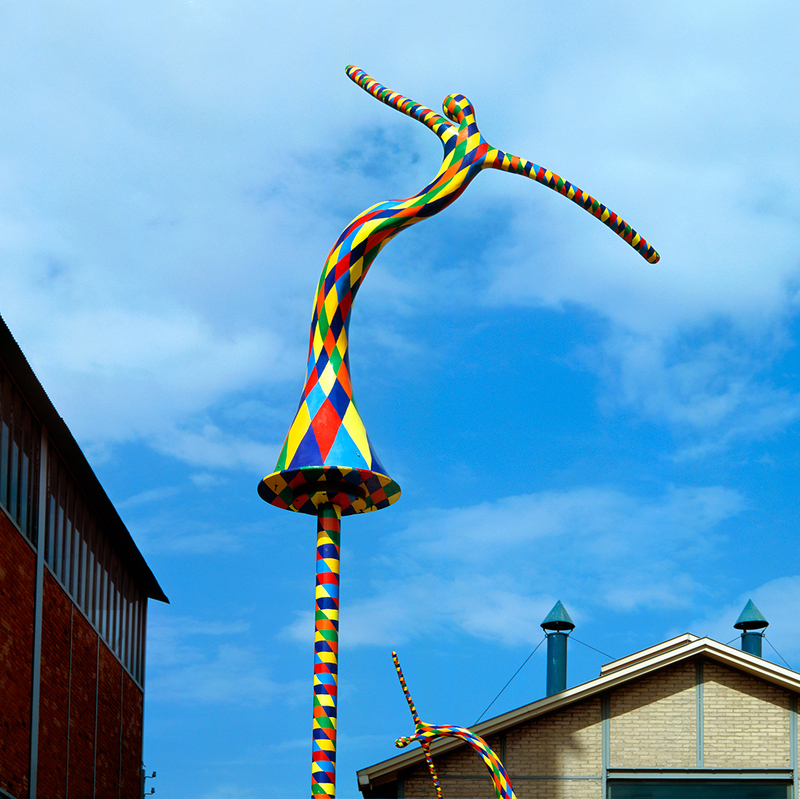 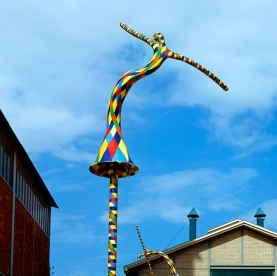 A two axes sculpture volume, differentiated according to the country exhibited was being installed until 2005. 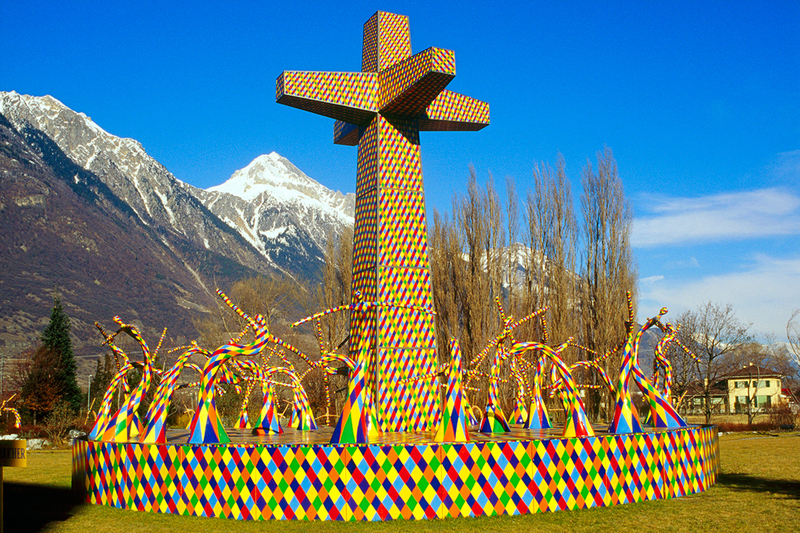 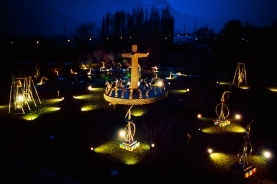 Since then according to the artist�s decision no sculpture volume which could be related to religious symbols has been installed due to social intense reactions.